There was a lot to love about that second Star Wars: The Force Awakens trailer. 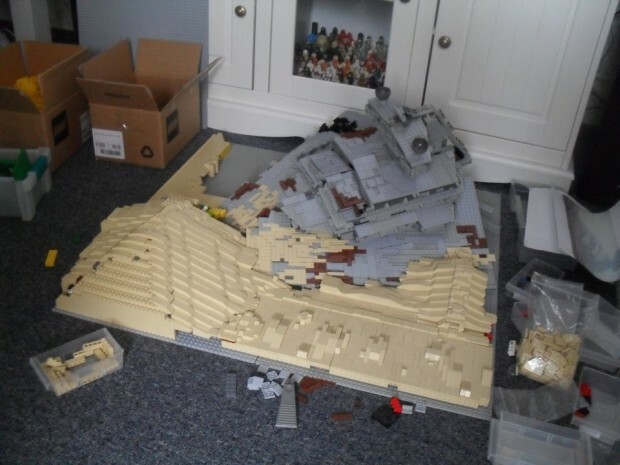 The crashed Star Destroyer was probably the image that stuck with most of us though. The Force Awakens is making us all believe that we could have another good trilogy. 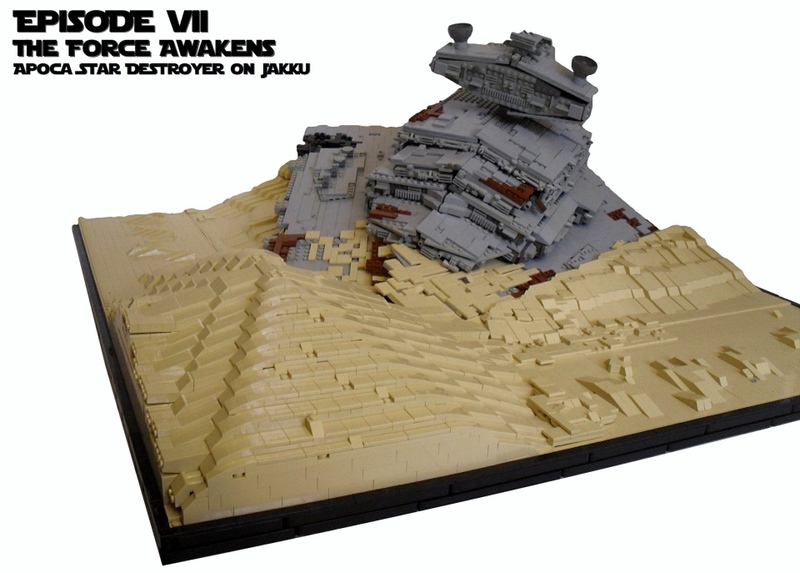 And it has inspired one man to make his own personal tribute – in LEGO form – of that crashed Star Destroyer on the surface of the desert planet of Jakku. LEGO fanatic KevFett2011 has uploaded some photos to flickr, showing the build progress. The images will give you a good idea of the scale of this thing. It is almost as wide as his wardrobe. This is an impressive build for sure. Looks like an authentic crashed LEGO ship to me.